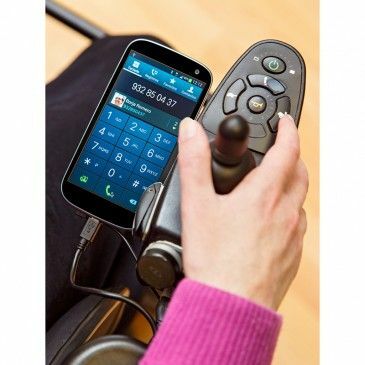 BJOY Ring wireless is a USB device that converts your wheelchair's joystick into a mouse to control your computer and compatible tablets and smartphones wirelessly. The detection ring is connected to a transmitter paired to the receiver, which is plugged to the device that you want to control. Each transmitter can be paired up to 4 receivers to be used with different devices or in different places. 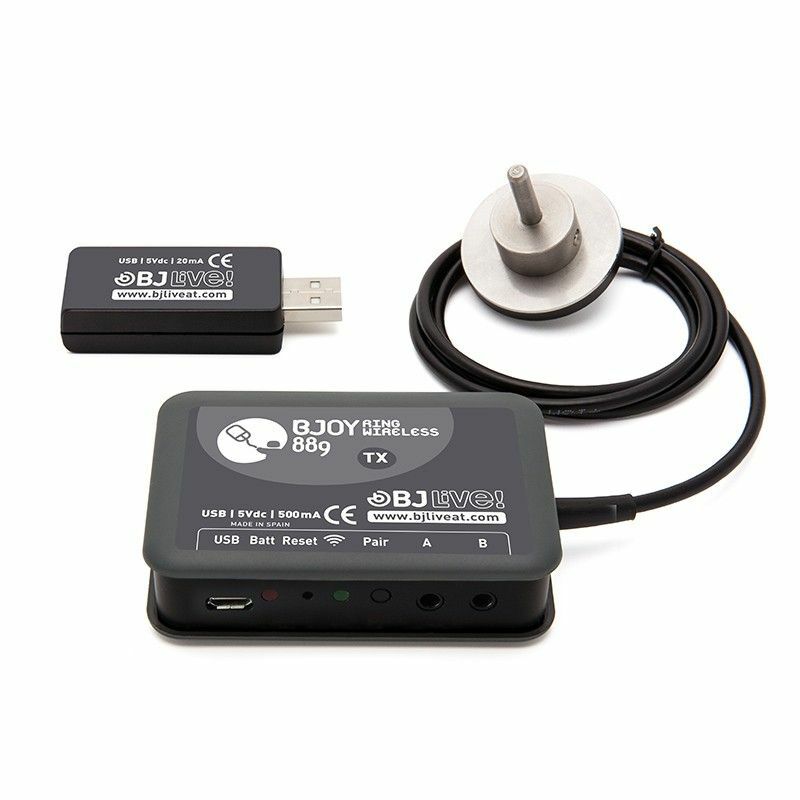 This device is part of the BJOY range. Control and access all your favourite applications from your computer or mobile device. Use your mouse accurately and comfortably from your wheelchair joystick. Each transmitter can be paired with up to 4 receivers, allowing it to be used with different devices or in different places. Mouse clicks can be performed using your favourite external switches. 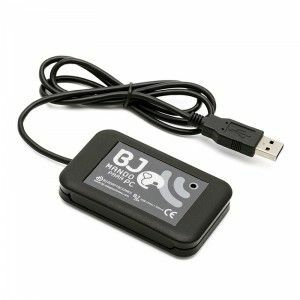 - Operating systems supported: Windows, Linux, Android, Chrome OS, Mac OS.Use the BJOY configuration software to modify mouse operating characteristics, such as cursor speed, orientation, button functions and many others. All settings are stored on the device. There is no need to configure the mouse again if it is used with a different device. 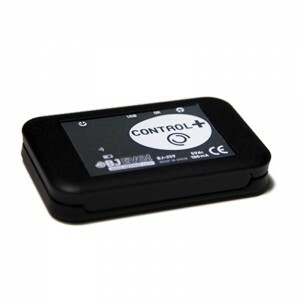 - This device is part of the BJOY range. Plug & Play USB device (5V / 70 mA). Recognition of the mounting angle automatically. Works with an inclination up to 45º. Emitter paired up to 4 receivers. Plug and Play USB 2.0 device. Size: 51 x 26 x 14 mm. Rechargeable batery via micro USB cable. Two switch inputs for 3.5 mm mono jack plug (female). Calibration done via local USB port. LED battery status and indicator. Beeper for auditory feedback for low battery and clicks (optional). Size: 80 x 56 x 22 mm. Allen key to fix the fixing screw. Extension USB cable with cradle (1.5m long). Micro USB cable for charging. 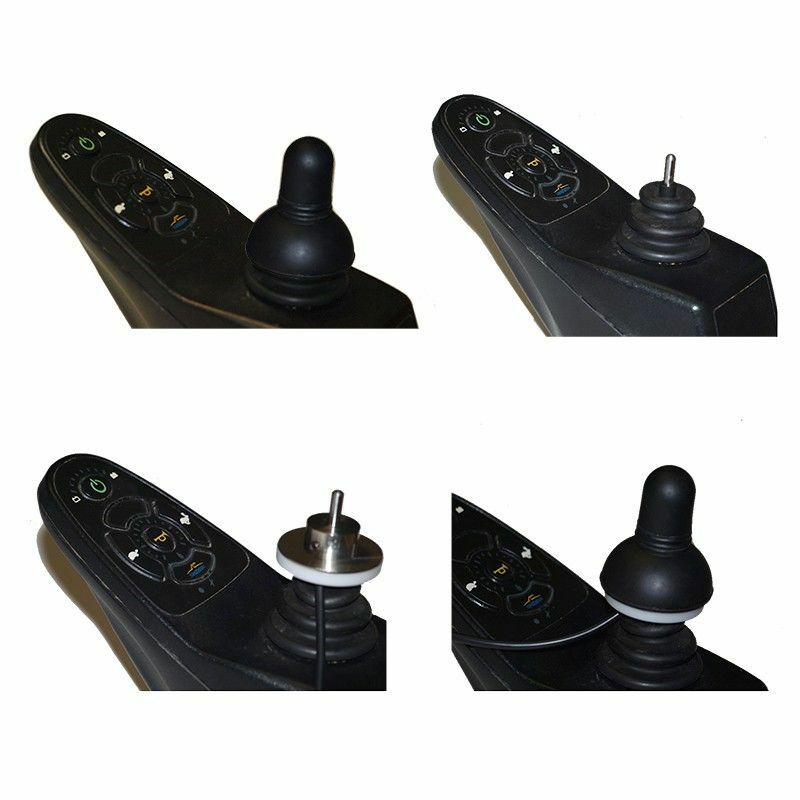 Puedo acceder al ordenador a través del joystick de la silla de ruedas, como estoy acostumbrado a este, es muy cómodo mover el puntero del PC. No tiene cable, por lo que no me preocupo de enchufarlo ni desenchufarlo.